Museum of the American Revolution | Geno’s Steaks | Philadelphia, Pa.
Travel back to the 1700s at the newly-opened Museum of the American Revolution in Philadelphia. Appropriately opened on April 19, 2017, the museum recognizes the commencement of the American Revolution exactly 272 years prior. 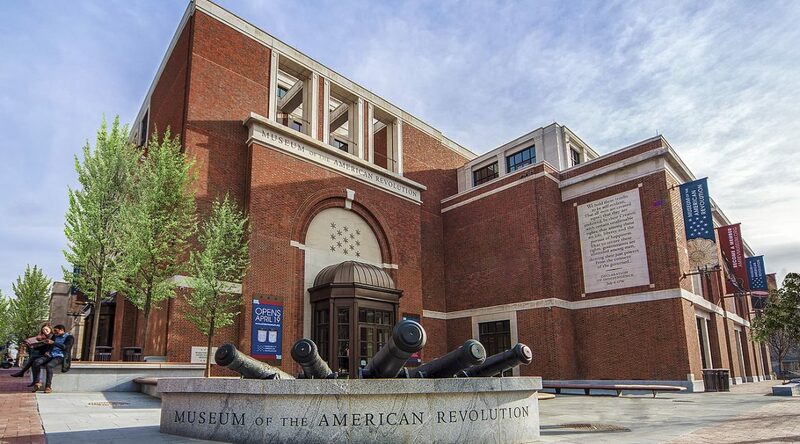 Located on 101 South Third Street, the Museum of the American Revolution has already received a vastly positive response. Learn about the time before the American Revolution began. From the writing of the Declaration of Independence to the reproduction of the Boston Liberty Tree, there is plenty to see in this exhibit. The heart of the war was bloody and grave. This exhibit shows memories of the infamous battles, weapons, notable women, and more. Many visitors will recognize the story of the winter in Valley Forge, which was a brutal time for the Continental Army. View the peak of the war, which occurred in the South. Visitors can mount a privateer ship, learn about the African American role in the war, and more. View photographs of war veterans, “Republican mothers,” and newfound symbols of America post-revolution. The museum is open daily from 9:30 a.m. to 6 p.m. from July 31 to September 4 and 10 a.m. to 5 p.m. following those dates. Admission tickets expire after two days. Guided tours are available at the museum on Tuesdays, Thursdays, and Saturdays. The museum offers other events, such as themed happy hours. There is a museum shop available to purchase collectibles like apparel, souvenirs, and books. Still photography and videography is permitted, but you cannot bring selfies sticks, flash, tripods, and monopods. The museum is ADA compliant. After visiting the Museum of the American Revolution, head over to Geno’s Steaks to pick up a fresh cheesesteak. We are open 24/7, so no matter what time you visit, we’ll be there! Be sure to check out Geno’s Gear, our new store across the street with items like shirts and hats. If you’re looking to visit multiple museums while in the city, take a look at others like the Philadelphia Museum of Art or the Academy of Natural Sciences.